A brand new centre for the discerning shopper in Nelspruit. Conveniently located we have a range of upmarket stores that offer exclusive fashion and home décor brands as well as some of the best local clothing, accessories, hairdressing, travel, health and beauty shops and salons. Visit us to experience our distinctive selection of stores with the convenience of numerous restaurants and a Food Lovers Market food emporium. Bakos Brothers is one of South Africa’s most iconic brands, offering upmarket furniture, interior design and exceptional service. It is famous for offering South Africa and Africa a world of style. With its fine range of handcrafted, locally manufactured and internationally sourced furniture as well as its impeccable service, Bakos Brothers shows the world that you’ve arrived. This store brings the unquestionable style and quality of their range to the lowveld and surrounds. Our anchor food and grocery store is Food Lovers Market. Food Lovers Market excels in its fresh produce presentation and the opening of this store brings this distinctive brand to the lowveld. Beautiful displays of loose and pre-packed produce greet you as you enter this food emporium offering fresh and refrigerated produce, a butcher, a deli for prepared meals, Seattle Coffee shop as well as a Market Liquors store. These are our exclusive fashion tenants offering a range of brands selected to bring style and elegance to Nelspruit. City Centre has created an environment where these distinctive offerings provide a destination for the discerning shopper to find stylish clothing and accessories from both international brands as well as the best of selected local designers. Looking for a contemporary professional Beauty Studio offering a unique beauty experience focused on individual needs from head to toe or a stylish hair treatment? Our carefully selected range health and beauty stores and hairdressing salon offer beauty treatments, a range of hair treatments, extensions, massages, and beauty products. Spoil yourself at City Centre! Whether it’s a business lunch, social rendezvous, a meal on the run, a quick cup of coffee or a snack you are after City Centre has a variety of options conveniently situated at the entrance to the centre with terraces to enjoy the views of the city and surrounding hills while you indulge yourself. 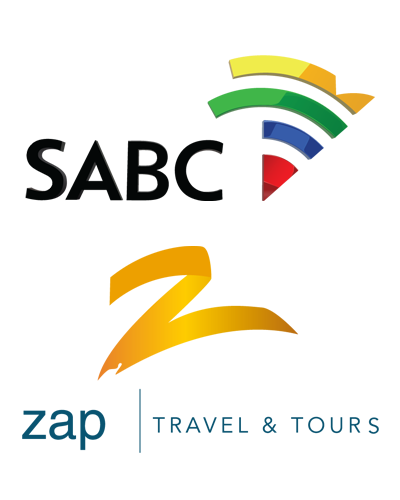 Planning on booking a holiday, get some financial advice or simply pay your SABC TV license? City Centre has a range of convenient services to make your life easier and more enjoyable. Located at the northern ‘gateway’ into Nelspruit’s CDB on the corner of Madiba Drive (R40 to White River) and Andrews Street / Old Pretoria Road, City Centre is highly visible and provides matchless accessibility to the heart of Nelspruit, its suburbs and northern Mpumalanga. The City Centre shopping centre houses a number of upmarket retail shops, restaurants as well as a new Foodlovers Market Food emporium. Combined with 24-hour security, will make City Centre the premier retail and shopping hub in Nelspruit. Shops and restaurants may trade variable hours, please contact individual stores for details. The next step in the evolution of Fruit & Veg City was to create a modern eatery where food aficionados could indulge in a range of gourmet foods. It was this vision that finally gave birth to the Food Lover’s Market, a theatre of food that was designed specifically with connoisseurs in mind. The Fruit & Veg City team crossed the globe in search of the hottest international trends in food. They visited the United States, Europe, Australia and the East, and then brought the best elements of what they saw in there back with them. The result is the stylish and modern food emporium called the Food Lover’s Market. 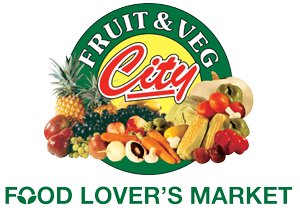 At the Food Lover’s Market, we cater for the discerning customer, the connoisseurs, the professional ‘foodies’ and, of course, our regular customers who are used to the exceptional quality and variety on offer at Fruit & Veg City. Food Lovers Market excels in its fresh produce presentation and the opening of this store in Nelspruit brings this distinctive brand to the lowveld. Beautiful displays of loose and pre-packed produce greet you on entering the store. Food Lovers Market has been innovative in offering a wide variety of specialist offerings from its renowned butchery counter, in store bakery, a deli for prepared meals, Seattle Coffee shop, Angelberry frozen yoghurt and smoothies as well as a separate Market Liquors store just outside the store. Contact Food Lover’s Market in City Centre on 013 752 3792.